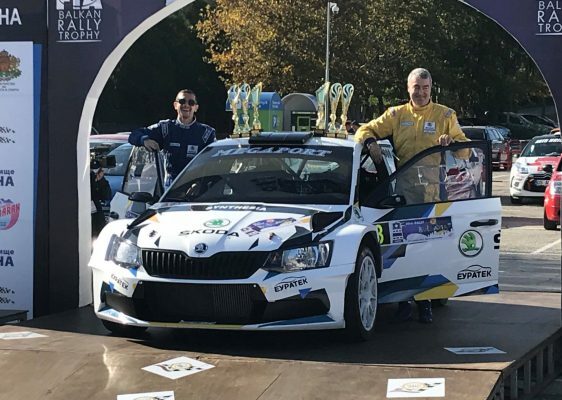 Miroslav Angelov and Edi Sivov (Skoda Fabia R5) are the big winners of Rally Bulgaria 2018. The crew of “Megaport” was uncompromised and took the title of the most prestigious race in our country. 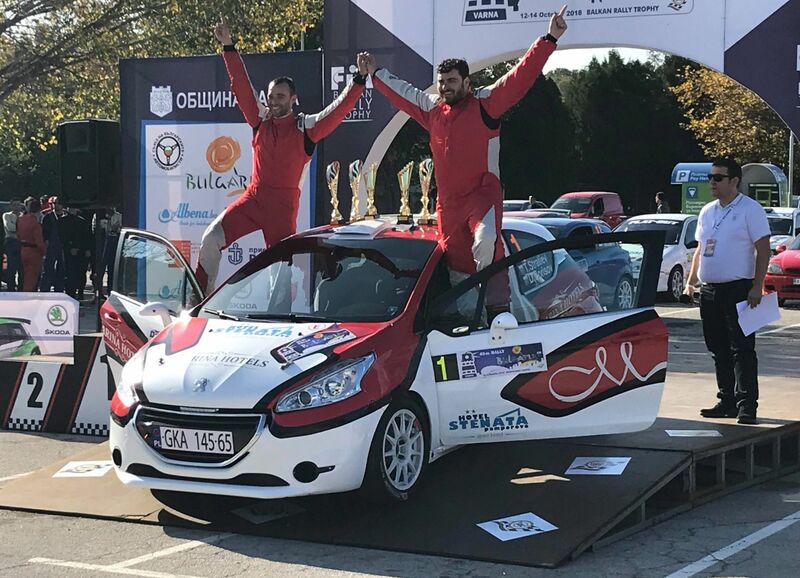 Winning Rally Bulgaria means that Angelov and Sivov also can celebrate the title of the Bulgarian Rally Championship, as well as this in RC2. The duo will write their names along with those of Ilia Chubrikov / Todor Chubrikov, Dimitar Iliev / Yanaki Yanakiev and Krum Donchev / Stoyko Valchev as few of the Bulgarian winners in the almost half century of the legendary race. And, while for the leaders the things were clear, the battle for the second place in this year’s race was unique. At the end second in the overall were Tihomir Stratiev and Dobrin Borisov (Peugeot 208 R2). But! 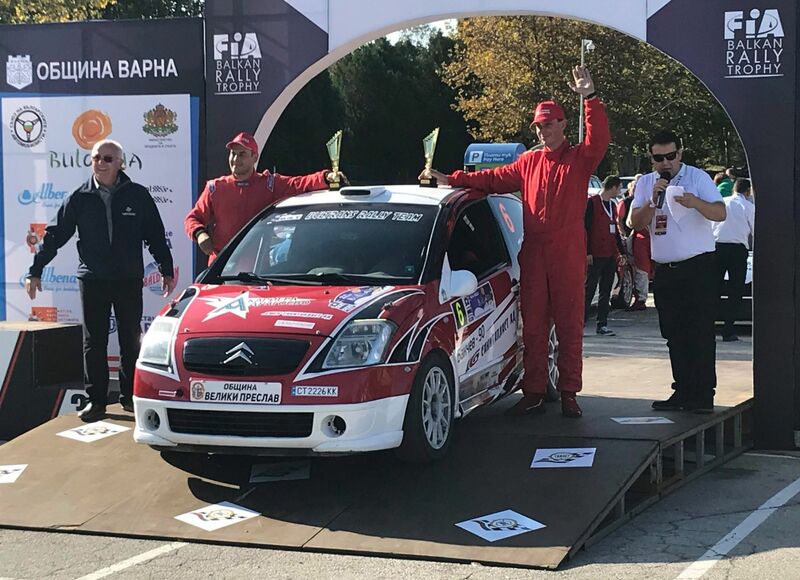 Last year’s champion Stratiev made an absolute equal time with Hristo Atanasov (co-drived by Marin Ivanov, Citroen C2 R2). After 3 days and 11 stages, both crews saw on the chronometers 01:30:49.9. But the system, in cases like this, take the better time of a crew in the first stage of the rally, but not if this is a SSS. And, for the overall ranking it was “Aladzha monastery 1” where Stratiev was 5th and Atanasov 7th. In the BFAS Homologation Group E1, the overall lead took the young crew Yasen Obretenov – Kaloyan Shnatanov (BMW E30). Obretenov took also the special award “Todor Slavov” for young drivers.